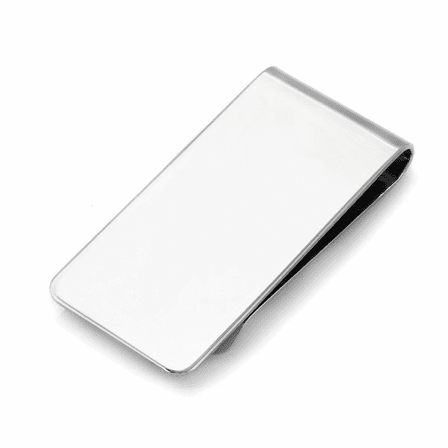 Quality sterling silver meets classic simplicity in this lustrous money clip that is sure to become a treasured accessory! It's extra wide, feels substantial in the hand, and has a French-fold style that grips up to 20 folded bills. Add the details that make it extra special, with free custom engraving of his name, initials or a short message. 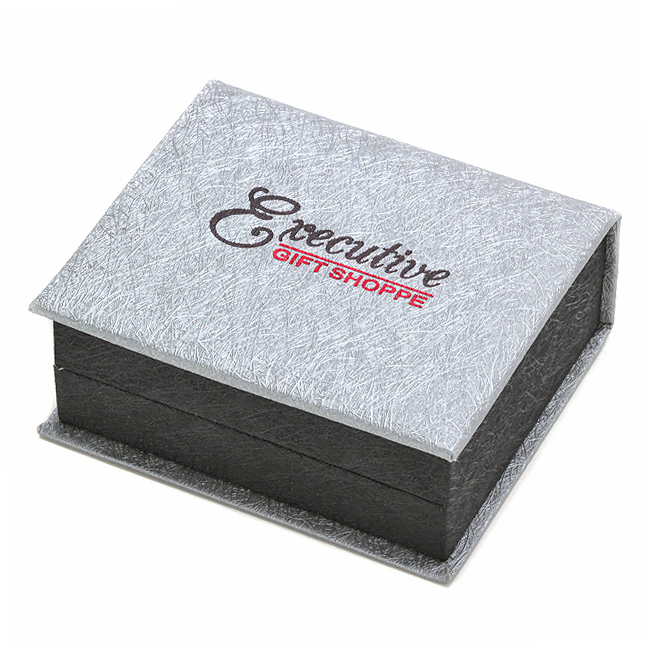 This money clip is packaged in a gift box, and will be shipped out engraved within 1 business day of your order. 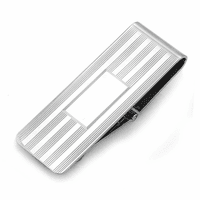 Dimensions: 2" x 1" x 1/3"
Can you engrave a white jacket out line with white coat ceremony 8/6/2015? Is this something you have an image of? If you can obtain a black and white image of what you're looking for, we should be able to engrave it. 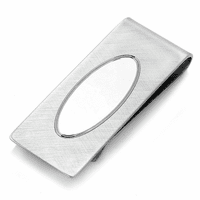 Does this money clip hold credit cards as well as cash? Yes, it does. You would just slide the credit cards in the same way you would cash. Can you tell me if the silver is 925 please? Yes, the silver is 925. Is it possible to have something engraved other than letters? I have a logo I would like engraved. We can engrave a logo but there is a 5 piece minimum. Would you need that many? 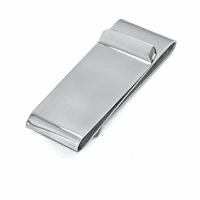 What is the weight of this money clip as compared to the other 23 items shown? This money clip is heavier than the others due to its wider width. I want to have a date engraved 11.26.13. What is cost? The engraving is free of charge. Just check the PERSONALIZE box on the item page and you'll be able to enter your engraving instructions. Very nice. I was thoroughly pleased and delivery was fast. I received a lovely response as soon as i ordered this thanking me for my order which was nice. It arrived quickly. The quality is amazing. I cant wait to give it to my fiance on our wedding day. It was engraved beautifully. ProsThe clip underneath is perfect because you could fit as little as one dollar in there. The problem with my fiances old money clip was that it stretched and then everything was loose once he took one card out. So this one is perfect. First time ordering from here and was very satisfied. The product was even better than I expected. This was a gift for my daughters boyfriend who had just graduated from the police academy. It was a special gift for a very special day. He truly appreciated it.